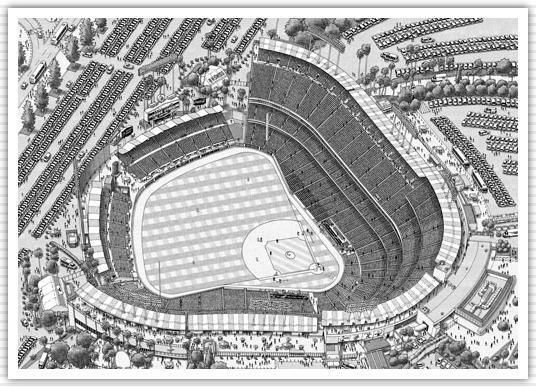 Located in Los Angeles, CA., it is home of the MLB Los Angeles Dodgers. Completed in 1962 at a cost of $23 million, it is the third oldest MLB ballpark and the largest in terms of seating capacityat 56,000. The stadium has hosted eight World Series.